The surgery of breast reconstruction recuperates the anatomical integrity of the female body, by restoring her the very part of the body which, in many persons, resonates with one’s womanhood, beauty, motherhood or even one’s own identity. The recovery of the breast lost due to a mastectomy adjusts the one’s emotional balance and helps one to resume one’s place in the family and society. The reconstruction improves the quality of life in women who have undergone a breast cancer surgery, from minor outfit details to recuperation of the libido, as the surgery helps the woman to more easily surmount that difficult moment in her life. The recovery of the physical aspect from before the mastectomy rehabilitates the woman’s perception of her own image, which fact is related to an increase of self-esteem, of self-confidence and to the conviction that the life is back to normal. The breast cancer surgery underwent a radical change in the recent 20 years due to the evolution of the screening and diagnostic methods, and by introducing the conservative surgery and of the multi-discipline approach, team which consists of oncologist surgeons, plastic surgeons, anatomo-pathologists, radio-therapists, chemo-therapists as well as psychologists. Unlike some years ago, when the surgeries aimed solely at the therapeutic effect, leaving in shadow the esthetic aspect and the psychosocial indications, nowadays the breast surgery and reconstruction may provide the respective patients with an aspect as close to the physiological one as possible, and with safety in point of therapy. The complete resection of the tumor with minimization of the potential breast deformations is named onco-plastic surgery, concept introduced for the first time in 1993 by Audreutsch. The purpose of the post-mastectomy breast reconstruction is the recuperation of the breast volume and the symmetrization with the contralateral breast, the reconstruction of the shape and the reconstruction of the areo-papillary complex. The employ of breast prostheses and of tissue expanders is one of the basic methods in the post-mastectomy breast reconstruction and it may be classified in immediate reconstruction, when, during the surgery, both the excision of the tumor and the insertion of a tissue expander or a definitive prosthesis are simultaneously conducted. The late reconstruction is performed after a time lapse (months-years) from the mastectomy. It may be achieved by means of an expander intended to be maintained a number of months, to be subsequently replaced with a definitive prosthesis. In the onco-plastic surgery, several types of reconstruction may be employed: a) tissue expander (silicon balloon) which expands progressively and, after obtaining the tegumental surplus, approximately 2-4 months afterwards, is removed and replaced with the definitive prosthesis. b) BECKER-type expander, displaying two compartments, one compartment with gel at the exterior and one at the interior, with serum, which may be expanded (progressively filled after an interval of 7-10 days) and which may remain definitive. The material of which the prostheses are made is silicon, material which, due to its biocompatibility, is the most frequently used for medical implants. Any woman who experienced in the past a partial or a total resection of the breast as a result of malign or benign tumoral formation may benefit from a late breast reconstruction. There is no surgery which does not involve a risk. The risks must be discussed in detail with the surgeon and with the anesthetist, before the operation. Besides the risks involved by any general anesthesia, also infections, hematomas and unpleasing scars, tegumental necrosis and not the least the capsular contracture (the connective tissue forms a capsule around the implant, which begins to contract itself). This is a complication that does not depend upon the technique of the surgeon or on the quality of the prosthesis, but the particular reaction of the patient. Some women affirm that they have a hyper- or hypoesthesia (hyper- or hyposensitivity). Small surface of numbness may occur in the proximity of the incision. Those symptoms usually disappear in time, but they may be permanent in some patients. Occasionally, the implants may break and may leak. The breaks may appear as a result of accidents and, very rarely, even spontaneously. If a saline implant is broken, it will deflate itself in a few hours and the serum will be absorbed by the body without any complication. If a rupture occurs in a gel-filled implant, one or several phenomena may happen. If the cover is broken, but the capsule around the implant –not, it is possible that no modification whatsoever appear. 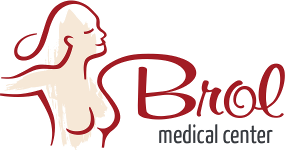 If the capsule as well is broken, especially following high pressures, changes in the shape or firmness of the breast may appear. If this occurs, it is necessary that an intervention be conducted and the implant be changed. the approval of the oncology surgeon who conducted the tumor excision, or of another expert in the field is mandatory, in order to ensure that no local relapse or remote metastasis occur. this method of breast reconstruction is not recommended in a patient who was subjected to postoperative radiotherapy, which basically modifies the structure and the elasticity of the remaining tegument. Practically speaking, the radiotherapy is not a positive contraindication, and the final decision is to be taken by the plastic surgeon following a thorough clinic examination. 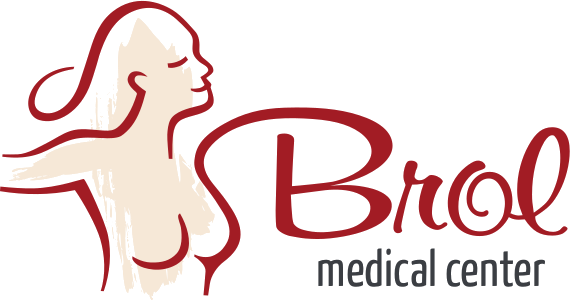 The breast reconstruction is usually conducted under general anesthesia and takes 1-3 hours. The incision allowing the prosthesis or expander to be inserted may be made in the area of the old scar (post-mastectomy) or, in case the reconstruction is performed simultaneously with the excision of the tumor, the incision is to be established by the onco-plastic team. As for the location of the prosthesis in relation with the pectoral muscle, it is preferable to be located underneath the pectoral muscle. The merits and the drawbacks of these alternatives for the incision location and for the prosthesis arrangement should be discussed in detail within the preoperative examination. After the surgery, draining tubes will be maintained for 24 hours, in order to avoid hematomas to be formed, which facilitate the occurrence of the capsular contracture. The advantage in using a Backer-prosthesis is that we conduct one single surgery, as there is no need to replace this prosthesis with a definitive one. The postoperative hospitalization takes between 1-3 days, during which antibiotics are to be administered. There is a discomfort in the first 24-48 hours, especially in the cases of sub-pectoral positioning, but this may be solved by administering painkillers and mio-relaxants. After the discharge, the threads are to be removed 12 days from the surgery, this being possible to be solved without any trouble by the family physician. A elastic retainer (elastic band or brassier) well adapted to the new shape and volume of the breast, should be worn for 2-3 months. Usually, it is recommendable to avoid intense physical strains in the first 2-3 months. As far as the scars are concerned, within up to 6 months they will redden and swell, and after 9 months they will become flat and lighten in color. It is recommended to avoid exposure to sunshine for 1 year from the surgery, in order to prevent the scars pigmentation. The scars will never completely disappear. We mention that periodic controls and routine ultrasonographies on a 6-months basis. It is preferable that the mammography is avoided, due to the risk to break or rupture the expander or the prosthesis. The most important thing with regards to this surgery is the personal wish and decision. The emotional and psychological benefits of this operation are the increase of self-confidence as well as the reintegration of the person on the verge of a depression or anxiety into the family life, into the social and professional life. With this surgery, we have an experience of over 150 cases solved up to date.